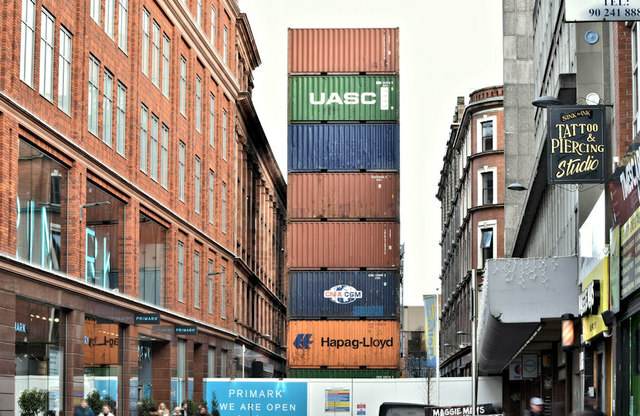 The view along Castle Street showing the stacks of containers, acting as a safety measure, in the event of the building’s collapse. I had quite a long chat with a passer-by who had also been following the post-fire events. He was convinced that the containers were erected last night.